This Is Our New Chin Up Rack Stand, Which Is Perfect For Tightening Your Core Muscle And Strengthening Your Arm. 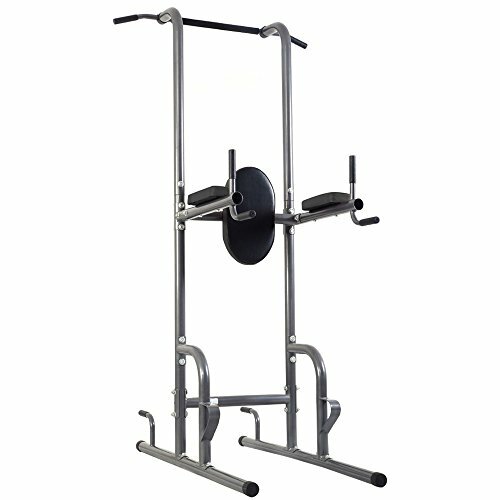 It Has Multiple Training Functions, Such As The Dip Station, Knee Raise, Leg Raise, Pull Ups And More. Moreover, The Comfortable Pads Designed In Ergonomic Angle Are Good To Reduce The Stress Of Shoulders And Protect Your Forearm When Exercising. If you have any questions about this product by Youzee, contact us by completing and submitting the form below. If you are looking for a specif part number, please include it with your message. Firstlaw Fitness - 600 LBS Weight Limit - Extreme I-Beam Pull Up Bar - Straight Long Bar - WITH Pull Up Assist - Durable Rubber Grips - Red Label - Made in the USA! Firstlaw Fitness - 600 LBS Weight Limit - I-Beam Pull Up Bar - Long Bar with Bent Ends WITH Pull Up Assist - Durable Rubber Grips - Red Label - Made in the USA! Titan Gymnastics Parallel Bar, (2) Adjustable Heights & (3) Adjustable widths, with 2” dia Parallel Bars – Made in the USA. Gymnastics Parallel Bar, (2) Adjustable Heights with 2” dia Parallel Bars, 300lb Capacity – Made in the USA.